Another awesome design from Bee Jam and also Free pattern for all. We want to say thank you to author for clearly explained pattern and tough work. 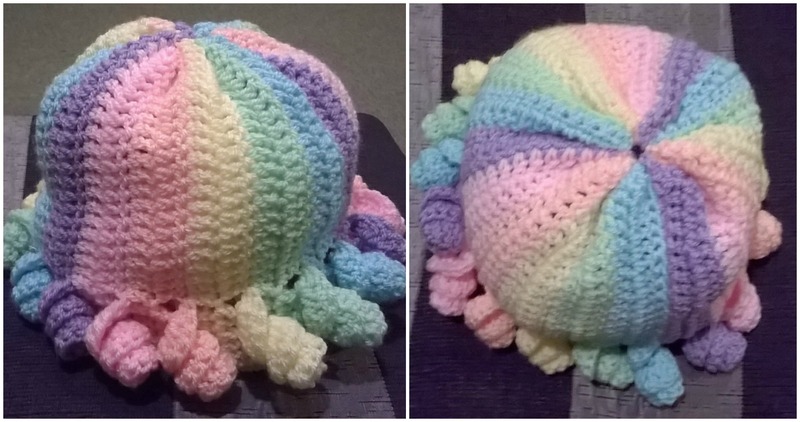 You can easily crochet these rainbow colored Shirley Curly Beanie if you have some experience in crochet and it will take little time. This hat you can crochet for newborns and also you can crochet for babies older than 1 and 2 yearn. Also you can change colors and decide it in one color and etc. Thanks again to author and let’s start crocheting now. Good luck.